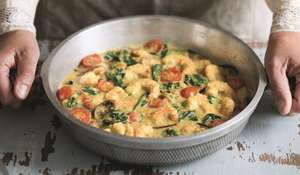 An aromatic seafood recipe from Orient Express. 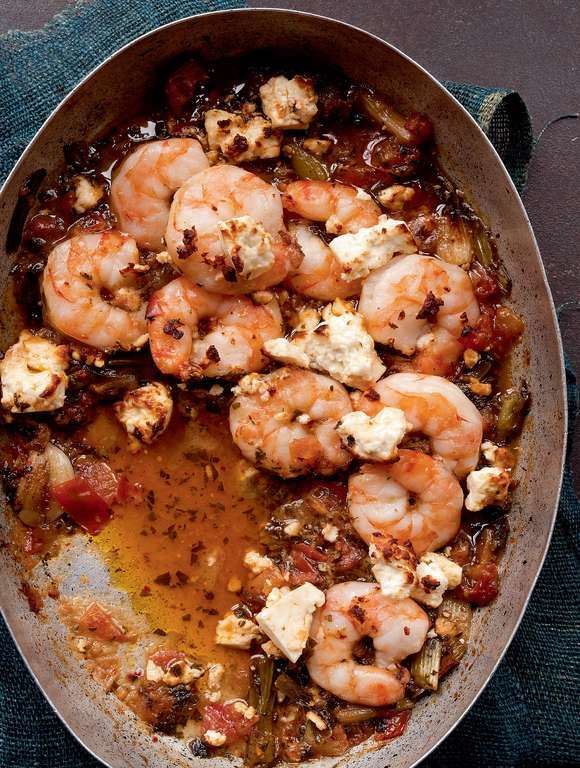 This chilli-scented king prawn and feta cheese guvech is a delicious stew style dish, best with crusty bread. 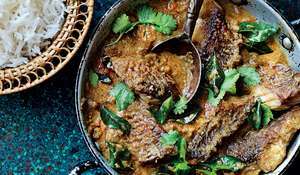 This dish brings memories of my father flooding back. Every weekend he would make one form of guvech or another. Vegetable guvech was his favourite and he kept an old earthenware pot for that sole purpose. Somewhere over the years the pot disappeared or was broken and now, whenever I am in Istanbul, I search through the bric-a-brac shops in the hope that I may find a similar one and thereby reproduce something even half as good as my father would make in his. 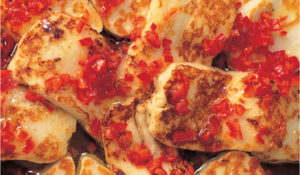 Simple, but extremely tasty, you can also make this dish using haloumi cheese. Preheat the oven to 200°C fan/gas mark 7. 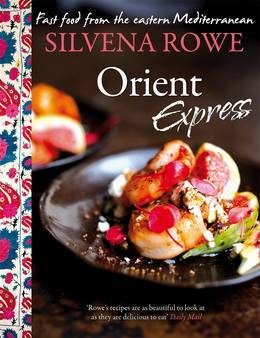 In a medium-sized casserole dish, sauté the onions, ginger, garlic, chilli, tomatoes and pomegranate molasses in the olive oil on a medium heat for 10 minutes. 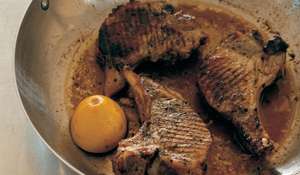 Stir in the oregano and season to taste. 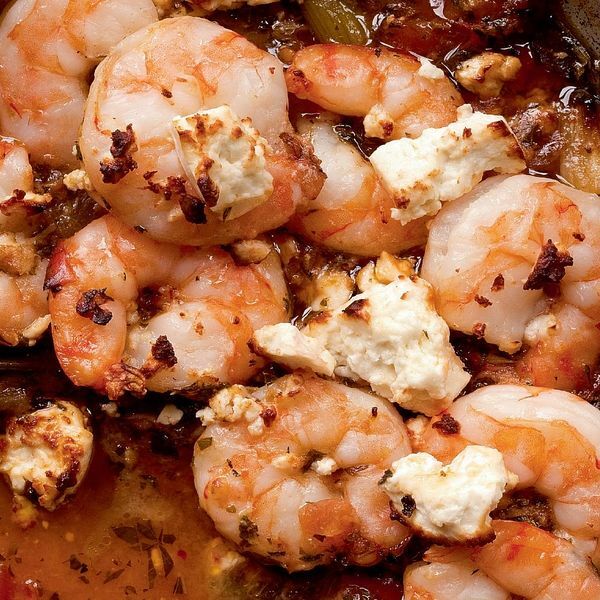 Top the casserole with the prawns and cover with the crumbled feta. 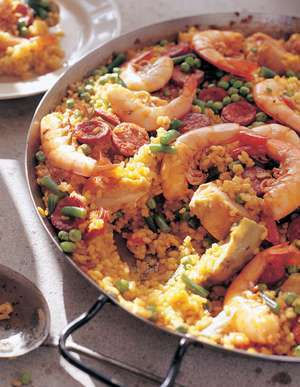 Drizzle with the extra olive oil and cook in the oven for 10-12 minutes, until the cheese is golden and the prawns are cooked through. 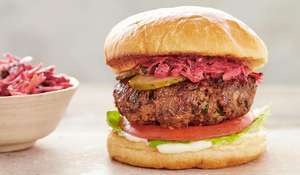 Delicious served simply with fresh crusty bread.